Kallmann, Helmut et al. "Canadian Music from Wars and Armed Conflicts". The Canadian Encyclopedia, 12 November 2018, Historica Canada. https://www.thecanadianencyclopedia.ca/en/article/wars-rebellions-and-uprisings-emc. Accessed 24 April 2019. Many of the wars and armed conflicts that Canada participated in inspired songs and musical works. This article surveys material that was written either during, immediately after or in retrospect of a particular conflict (see also History of Canada in Music; Patriotic Songs; Battle Music; Canadian Songs of the First World War). The British victory at the Battle of the Plains of Abraham also inspired several British composers. James Nares’s “Not unto Us, O Lord,” a thanksgiving anthem “for the taking [of] Montreal and making us Masters of all Canada,” is preserved in manuscript at The British Museum. The PAC has preserved a printed copy (1760) of John Worgan’s “I Fill Not the Glass. A Song. On the Taking of Mont-Real [sic] by General Amherst” (see also William Amherst, Earl Amherst of Arakan). Several other songs, for which precise dates of composition and publication are difficult to trace, appeared in the late-18th century. Among these are Charles Thomas Carter’s “The Soldier’s Farewell to His Mistress on the Eve of the Battle of Quebec” and Thomas Smart’s “General Wolfe” and “On the Death of General Wolfe.” Copies of some of the earliest printed examples of musical Canadiana may be found at the Toronto Public Library, Library and Archives Canada	and the New Brunswick Museum. An ode was performed in Quebec City (see also Cantata) to celebrate the first anniversary of the Canadian victory over a contingent of American invaders led by General Benedict Arnold in 1775. A contemporary report by August Ludwig von Schlözer (see Art	Song) refers to songs written in honour of Baron von Riedesel, the commander of the German mercenaries sent by the British to fight against the revolutionaries. “Marching Down to Old Quebec” and the Acadian	song “Le Sergeant,” both printed in Fowke’s Canada’s Story in Song, date back to the same period. The War of 1812 is remembered in both marches and songs. Victor Pelissier’s “March to Canada” (1813) cheered on the American soldiers, while Frédérick Glackemeyer’s Châteauguay (performed in 1818 but possibly written earlier) commemorates Lieutenant-Colonel Charles-Michel d’Irumberry de Salaberry, the hero of that battle. “Come All You Bold Canadians” and “The Chesapeake and the Shannon” (sung to the tune of “A Drop of Brandy-O”) are given in Fowke’s book. A 20th-century work, “The Events of November 10, 1812” (1978), by Norman Sherman, was inspired by marching tunes of the era. It draws its text from two war proclamations of Major-General Sir Isaac Brock and an eyewitness report of an attack on Upper Canada. 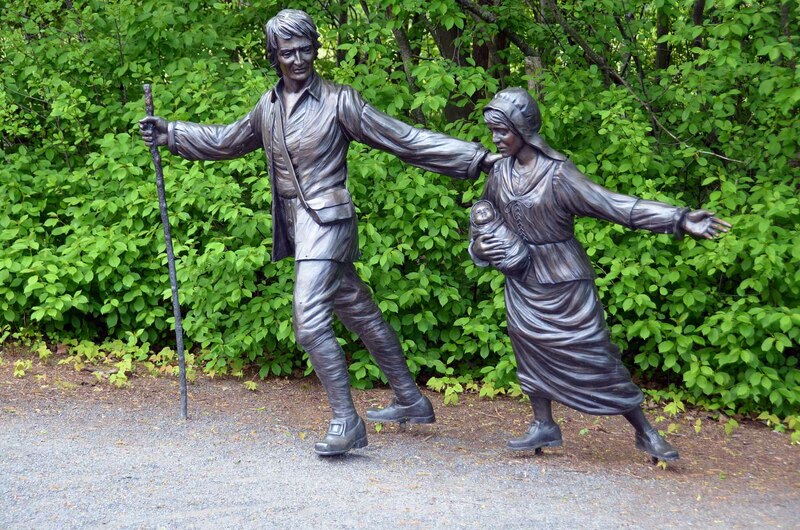 The most famous song inspired by the Rebellions of 1837–38 is “Un Canadien errant” (“The Lost Canadian”), with words by Antoine Gérin-Lajoie to the old tune of “Par derrière chez ma tante.” Others that are also found in Fowke’s Canada's Story in Song	are “Farewell to Mackenzie” and “The Battle of the Windmill” (to the tune of “The Girl I Left Behind Me”), a song that remained popular for more than 100 years in the St. Lawrence River	area around Prescott, Ontario. The Fenian raids were assaults on the Canada–U.S. border by the Fenian Brotherhood, an Irish American movement dedicated to Irish independence that was organized in Dublin and New York in 1858. The American branch’s attempted takeover of Canada, in a series of border raids between 1866 and 1871, was rebuffed by some 14,000 volunteers (see also Battle of Ridgeway; Fenian Raids Timeline; Fenian Raids Collection; Fenian Raids Education Guide). The raids gave rise to several songs and instrumental pieces. A skirmish in 1866 at Lime Hill, near Fort Erie, in which the Queen’s Own Rifles of Canada were defeated, inspired Irish Americans to compose the jeering tune “A Fenian Song,” which was later sung on Great Lakes ships. However, when more Canadian troops assembled, the Fenians withdrew across the border and Canadian volunteers made up “An Anti-Fenian Song” to the tune of “Tramp! Tramp! Tramp!” These verses, credited to Lachlan McGoun, became widely known and inspired fresh parodies during the North-West Rebellion, South African War and First World War. “The Chatham Volunteers” was inspired by a threatened raid (which did not occur) on Windsor, Ontario, to which the Chatham Volunteer Infantry Companies responded. The song appeared in a local paper and was reprinted in 1963 in a Toronto folk magazine (P. Wyborn, “The Chatham Volunteers,” Hoot, No. 2). William Roy Mackenzie noted a fragment of a Fenian song in Ballads and Sea Songs from Nova Scotia (1928), and John Murray Gibbon quoted “Song of the Fenian Brotherhood” in Canadian Mosaic: The Making of a Northern Nation (1938). Among more than a dozen contemporary pieces published with dedications to the volunteers were the songs “Up Volunteers!” (A. & S. Nordheimer, 1865), “Shoulder to Shoulder, On to the Border” (with music by its publisher, Henry Prince) and “The Canadian Volunteer’s Farewell” (A. & S. Nordheimer, 1866), as well as the instrumental compositions “Fort Erie Quadrilles” (R. Morgan, no date), “A Lady” and “Canadian Band March” (A. & S. Nordheimer, 1866) by the bandmaster Woodlawn. The Red River Rebellion (1869–70) and North-West Rebellion (1885) produced both vocal and instrumental music. Several songs were about Louis Riel, including “Quand je partis ma chère Henriette” (in Canada’s Story in Song) and “C’est au champ de bataille” (in The Penguin Book of Canadian Folk Songs, compiled by Edith Fowke, 1973). The second was known among some Métis in Saskatchewan	and Manitoba as “Chanson de Louis Riel,” or the “Louis Riel Song.” However, its derivation from the tune and text of “La lettre de sang” suggests that it was brought from the east and came to be associated with Riel. 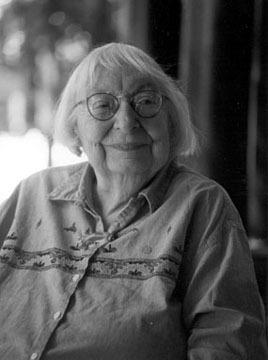 Versions of the song occur in Barbara Cass-Beggs’s Eight Songs of Saskatchewan (1963) and Edith Fowke’s Singing Our History (1984). The University of Toronto Song Book (1887) contains “Pork, Beans and Hard-Tack,” to the tune of “Solomon Levi,” sung by volunteers from Winnipeg who were unhappy with their mode of travel and their rations. “The Toronto Volunteers,” on the other hand, complain about the cold climate of the Prairies. Imrie & Graham published the album Toronto’s “Welcome Home” to Her Brave Defenders, from the North-West Rebellion! July 1885. Other songs of the time may be found in Canada’s Story in Song and Songs of Old Manitoba. instrumental pieces include Dingley Brown’s “The Battleford March” (1885), dedicated to Sir Frederick Dobson Middleton, Annie Delaney’s “Batoche: Polka” (A. & S. Nordheimer, 1885) and Joseph Vézina’s march “De Calgary à MacLeod.” The LP Une chanson de vérité: Folk songs of the Prairie Métis (1984) by singer Lucinda Clemens, accompanied by Morwenna Minneci Jones and Romano Pucci, features several songs that recall the Métis’ struggle for autonomy. Canadian opinion was divided on the justness of the cause and the need to send troops to South Africa, but enthusiasm for the South African War ran high among a large segment of English-speaking Canadians. More than 7,000 Canadian soldiers participated in the war, most of them in battle action. All of more than 25 Canadian compositions about the war have English titles. Typical examples are “Bobs and Victory” by Frank H. Burt, “Tommy Atkins, You’re a Dandy” by Arago Easton, “Young Canada Was There” by Alexander Muir, “The Charge at Dawn” by Samuel Davies Schultz and “Sons of Canada” by F.H. Torrington. Roberta Geddes-Harvey’s opera “La terre bonne,” which premiered in 1903, was set in Canada and South Africa at the time of the war. The fact that the First World War involved far larger military forces than Canada had mustered in any previous war accounts for the vast output of music. More than 300 Canadian war and patriotic songs, as well as numerous marches, were known to have been published between 1914 and 1918 (see also Canadian Songs of the First World	War). Most of these were written by those at home to boost recruitment and morale; not many were borne of front line experience, and there were very few Canadian war songs that were popular in the trenches. Other factors contributed to the home front boom in Canadian war songs. The U.S. didn’t join the war until 1917, leaving Canadians a North American monopoly on the genre during the early years. The invention of the phonograph had created an additional and effective means of propagating war music. It’s difficult to single out the most successful among the songs, but certain titles turn up more often than others in collections of old sheet music and recordings. Among these are “We’ll Never Let the Old Flag Fall	(1915) by Michael F. Kelly and Albert Erroll MacNutt, “Dear Old Pal of Mine” (written in France in 1918) by Gitz Rice and Harold Athol, “Good Luck to the Boys of the Allies” (1915) by Morris Manley and “In Flanders Fields” (with words by John McCrae and music by several different composers). A number of songwriters concentrated on war songs, including Florence M. Benjamin (“Marching Along” and “Come With Me in My Aeroplane”), Jules Brazil (“Remember Nurse Cavell” and “Dreaming of Home”), Morris Manley (“I Love You, Canada” and “Goodbye Mother Dear”), Geoffrey A. O'Hara (K-K-K-Katy,” which was not a war song but still very popular among overseas troops, and “Highlanders! Fix Bayonets!”), Gitz Rice (“Keep Your Head Down, Fritzie Boy” and “We Stopped Them at the Marne”), Gordon V. Thompson	(“When Your Boy Comes Back to You,” “When We Wind Up the Watch on the Rhine” and “For the Glory of the Grand Old Flag”) and Will J. White (“Take Me Back to Dear Old Canada” and “Hip! Hip! Hooray for the Boys Who Went Away”). Thompson’s claim that his song “When We Wind Up the Watch on the Rhine” sold about 100,000 copies in Canada and another 100,000 in the U.S. is an indication of the wide circulation enjoyed by many of these songs. French-language wartime songs include Joseph Vézina’s “En avant” (1915). Other songs, recorded or published, include Alf Ellerton’s “Belgium Put the Kibosh on the Kaiser” (1915), Irene Humble’s “We’re From Canada” (1915), E.W. Miller’s “The Call of the Motherland Song” (1914), N. Fraser Allan’s “The Made in Canada Campaign Song” (1915) and Michael F. Kelly’s “By Order of the King” (1915). More erudite composers also tried their hands at patriotic songs. Gena Branscombe wrote “Dear Lad O’ Mine” (1915), Donald Heins composed “The Song of the Allies” (1914) and Colin McPhee wrote “Arm, Canadians!” (1917). Marches, in addition to those written for specific regiments, include Jean-Josaphat Gagnier’s “Here’s to Tommy” (1915), Alexis Contant’s “Les Alliés” (1914) and Arthur W. Hughes’s “March of the Allies” (1915). Canadian songs of the Second World War were fewer in number than those of its predecessor but had the advantage of being spread by sheet music, records and radio	alike. The aggressive and patriotic tone of First World War songs gave way to an emphasis on humour and nostalgia. Other differences were that the government provided more organized entertainment for the troops, including The Army Show, Meet the Navy	and the RCAF Blackouts, and that songs by professional musicians outnumbered those by amateurs. From the point of view of publishing, an imported English song, “There’ll Always Be an England” (1939), was one of the biggest hits. Gordon V. Thompson, who secured the North American copyright early during the war (when it was banned on radio in the still-neutral U.S.), sold 130,000 copies in Canada alone. Thompson himself no longer wrote war songs, but he published “Carry On” and its French-language version, “En avant” (with music by Ernest Dainty, composed before the war but with text adapted to the new circumstances), which became one of the most successful Canadian songs during the war. War-related concert music includes Healey Willan’s “The Trumpet Call,” “Hymn for Those in the Air” and “A Marching Tune” (dedicated to the Queen’s Own Rifles of Canada), as well as his radio opera “Transit through Fire: An Odyssey of 1942,” Arnold Walter’s cantata “For the Fallen” (completed shortly after the war), Alexander Brott’s symphonic poem “War and Peace,” Harry Somers’s piano sonata “Testament of Youth,” and Joseph Vermandere’s “Te Deum,” written to celebrate the Allied victory and performed on the CBC	on 13 May 1945. 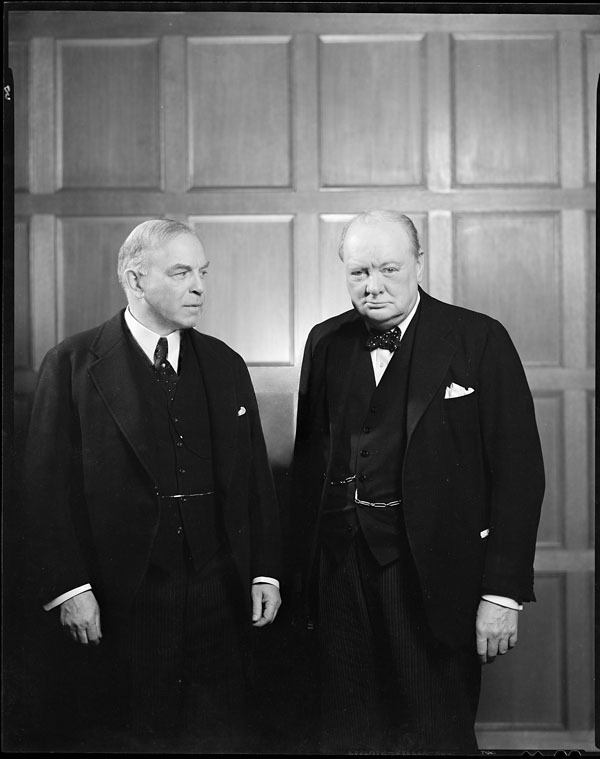 Willan was somewhat out of his element when he wrote a popular war song called “Speed the Victory” (1943), as was Sir Ernest MacMillan when he wrote “Debout, Canadiens!/Canada Calls…” (English: D. Hill, French: A. Plouffe) and “It’s a Grand Life if We Don’t Weaken” (1940). Of the many band marches written during the war, “Commando March” by Leslie Bell and the march song “La Marche de la Victoire” by Joseph Beaulieu are also worth noting. Anthony Hopkins’s collection, Songs from the Front & Rear: Canadian Servicemen’s Songs of the Second World War (Hurtig, 1979), was limited to songs actually sung by soldiers, as distinct from songs intended for but not necessarily popular among them, as exemplified by the early-war-years collections Le Soldat canadien chante (1940, compiled by Marius Barbeau) and Aux armes, Canadiens! (1941). W. Ray Stephens’s The Harps of War (1985) and Memories and Melodies of World War II (1988) are other documentations of the genre (see also History of Canada in Music; Patriotic Songs; Battle Music; Canadian Songs of the First World War).